We could be facing a fresh tsunami of foreclosures in the US. That means a lot of new individuals, couples and families searching for rental apartments. How can multifamily operators best handle this situation? There have been rumors of a coming correction in the single-family home and condo market. Sales data already suggests a significant slow down in activity, at least in some markets. Other, more affordable markets may keep growing as they pick up the slack and offer accessibility to home buyers and yields investors want. However, the data coming out now suggests we are already in more than a mild correction or soft landing. Single-family homes and condo values have slid more than 6% since last year in cities like Manhattan. That is already putting many owners in a negative equity situation. Meaning they can’t afford to sell. In turn, this has resulted in foreclosure activity, and specifically bank owned property levels rising by 40% to 50% from Naples, FL to Los Angeles, CA. Pre-foreclosure and auction activity also rose by triple digits in some cities in February 2019. Perhaps most notably in Vegas, where one zip code saw one out of every 104 housing units get a foreclosure notice in the span of just 30 days. The result is a lot of prospective renters with poor credit scores and new foreclosures on their reports. Where will they live? The tenant screening process has become incredibly tough over the last decade. Credit scores were improving, housing inventory was tight, and the economy was good. Many newer corporate and individual landlords tried applying blanket approaches to tenant qualifications nationwide. They forgot that local renter pools and profiles are very localized. Some landlords were spoiled for choice. Others suffered very high vacancy rates because they were out of touch with the local market. In many cases, it has been easy to qualify for a mortgage than to rent. That has lead to some great acquisition opportunities, with plenty of room to add value and cash flow by improving performance. However, when you have large numbers of people that can’t even qualify for a rental, it creates problems. You have workers needing to move for jobs, but who can’t sell their old homes due to negative equity. You have senior professionals who got sick, fell a month behind on their mortgage, and couldn’t catch up. Or maybe their property tax documents got mixed up, and they wound up in foreclosure, despite owning their homes free and clear. If they can not qualify to rent, where will they live? It creates a downward spiral. One that can greatly impact communities. 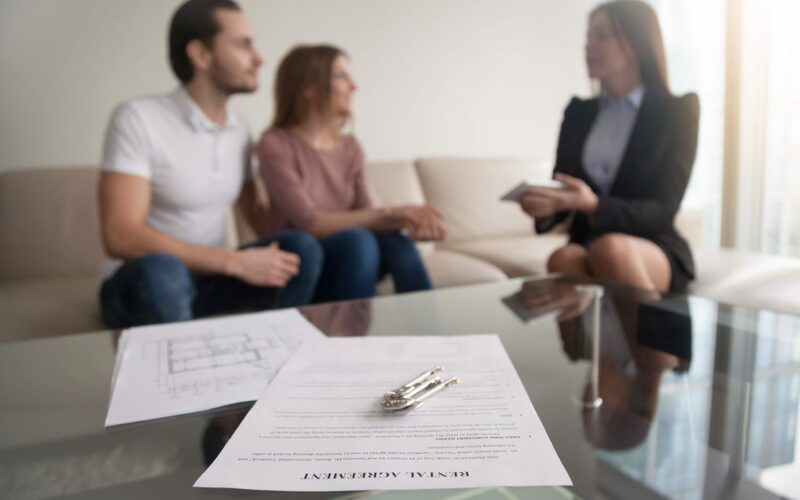 If you talk to landlords who were active around 2008, they will tell you that some of their best performing and most profitable tenants were those who had recently been foreclosed on. They are often very grateful tenants who will strive extremely hard to pay the rent on time. At the same time, as a property manager, leasing agent or multifamily operator, you have a duty to protect investors from underperforming tenants. Yet, also to maximize occupancy rates and cash flow, and perhaps a responsibility to the surrounding community as well. Smart landlords stay tuned into the local renter pool. They know average credit scores, incomes, etc. They know where it is legal to pull background checks and not. While it can take extra work, the best practice is likely looking at each prospect and their whole picture. Is this someone who just ran into a one-off bad situation? Or do they have a long and repeat history of failing to pay their rent? If we don’t police ourselves as an industry, then we get Seattle like regulations which force landlords to accept the first tenants who apply, and very little ability to screen who they are. So, it can be smart to trial programs for those with special circumstances like this, and monitor the data. If they work out, expand it. If not, pull back. An extra risk can typically be offset with smarter lease clauses, more advance rent, and risk-based pricing. What do you think? Would you prefer your units empty over giving someone who lost their home a chance? Or do landlords have a responsibility to house the community, but should be compensated with higher rents for the risk? Bill Zahller is the President of Park Capital Properties and resides in Asheville, NC. As a Multifamily Real Estate Investor and Syndicator, he founded Park Capital Properties in 2016 after 14 years involvement in real estate investment. He works with accredited investors and professionals who are interested in real estate investment, diversification, and financial freedom. Bill has been flying since high school. His father was a Naval Aviator and Captain for TWA. Bill has been flying professionally for over 25 years, 23 of those at his current company. He has accumulated over 12,000 hours and 7 Jet type ratings. He has also held Instructor, IOE Instructor and NRFO pilot positions with a large fractional flight company. He is currently flying the Global 6000 in a long range mission capacity. This keeps it interesting – one week its Beijing or Sydney; the next Rio or Rome. Bill is also the founder of the Asheville Multifamily Investor Club. Visit www.ParkCapitalProperties.com for more information. Your privacy is important to us. We will never release your information to a third-party.